I’ve used the free Skype app for several years now and it has allowed me to speak with other professionals in San Jose and Tokyo for free by using a computer connected to the Internet. We all setup Skype accounts, then use the app to talk on our computers instead of making expensive overseas telephone calls. Way back in 2011 Microsoft paid some $8.5 Billion to acquire Skype and they pretty much left that company alone to run their business as before, that is until just recently. 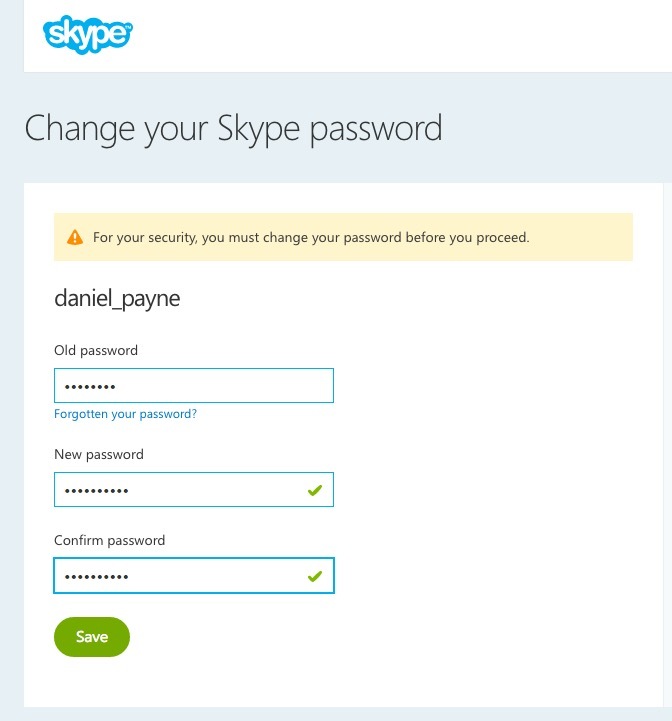 I received an email update from Skype yesterday telling me that a credit in my account was becoming inactive, so I decided to login to Skype and keep my credit active. The first time that I tried this update password procedure I was confirming my password and the dialog told me that the passwords didn’t match, however it would let me go back and update the first password, it would only let me update the confirmed password. Uh, that is a catch-22, I couldn’t proceed because I had a typo in my first password yet I wasn’t allowed to change my first password. The only work around was to revisit the site at www.skype.com and start all over. I’m all for security and sometimes prodding web users to update their passwords to something more secure, but when you do that prodding you need to allow a web user to update any field on the form, not keep them stuck on the confirmation password field only. I would expect a small company to make an annoying user interface mistake like this one, but not a major corporation like Microsoft which should know better about using best User Interface best practices that allow a user to change any form field at any time, for any reason.